KARACHI: Experts at the 13th International Symposium have said that now the progress of nations in the world is measured with reference to the education, which are known for their achievements in education, health, science and technologies. They expressed these views while addressing an inaugural ceremony of four-day 13th International Symposium on Natural Product Chemistry, held on Saturday, under the aegis of International Center for Chemical and Biological Sciences (ICCBS) and University of Karachi (KU). About 600 delegates from 40 countries are participating in the global moot, inaugurated by KU Vice Chancellor Prof Dr Muhammad Qaiser. Former Chairman Higher Education Commission, Prof Dr Atta-ur-Rahman, Director ICCBS Prof Dr Muhammad Iqbal Chaudhary, Dean Faculty of Sciences Prof Dr Nusrat Jameel, Managing Trustee Muhammad Hussain Panjwani Memorial Trust Nadira Pujwani, Chairmn Husein Ebrahim Jamal Foundation, Aziz Latif Jamal and Dr Ghulam Musharraf, Prof Dr Ahsan Dar addressed the ceremony. Director ICCBS Prof Dr Muhammad Iqbal Chaudhry said ICCBS had become the largest and finest institutions in this region. In last two years, we increased our Ph D enrolment from 310 to 480, expanded our international collaboration with twenty three new MoUs, welcomed over 180 foreign scholars from some 50 nations, published over 600 international research papers, patented 20 new findings internationally and established several new institutions, he added. “The aim of the symposium was to bring together the leading experts in the field of natural products sciences from all around the world and form global partnership for sustainable utilisation of natural resources for the common benefits of humanity and rapid development of the countries in the south,” he said. Earlier, speaking at the inaugural ceremony of the symposium, the KU Vice Chancellor said that there was dire need to make our country stronger through science and technology to fight against the enemies of the country and humanity. Yesterday I just put “Population projections Pakistan” in Google and spend only 30 minutes FEELING HAPPY Pakistan is the PLACE to RETIRE. Old people like me do not need a/c as we do not feel hot as young people do. Also we can move to Islamabad. Good drinking water there. Below is Google search results or my 30 minute research : MASHALLAH. We chose ZIA ul HAQ than Mr. JIHHAH. http://mydailyclarity.com/2009/07/un-pakistan-population-to-double-within-40-years/ Read to the end and you find Pakistan will continue to HATE USA !! Wow that bad magazine. Never heard of it before. Its 2.03% population growth rate is the highest among the SAARC countries and gives an annual increase of 3.6 million. The population is projected to reach 210.13 million by 2020 and to double by 2045. In 1947, Pakistan had a population of 32.5 million. From 1990 to 2009 it increased by 57.2%. By 2030 it is expected to overtake Indonesia as the largest Muslim country in the world. 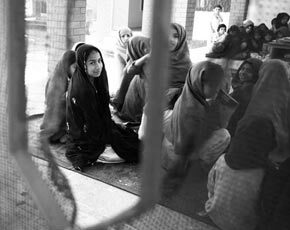 Pakistan is a ‘young’ nation, with a median age of about 20 and 104 million people under 30 in 2010. This page also includes RESOURCES and WATER. PAKISTANI TEXT BOOKS (PAK MILITARY) tells new generations PAKISTAN is FULL of RECOURCES. Its NOT. The second biggest group of foreign born population consists of Muslim refugees from Afghanistan that have settled in Pakistan due to civil war in Afghanistan. The smaller groups consist of Muslim refugees from Burma, Iraq, Somalia, Bangladesh, Iran, Tajikistan, Uzbekistan, etc. 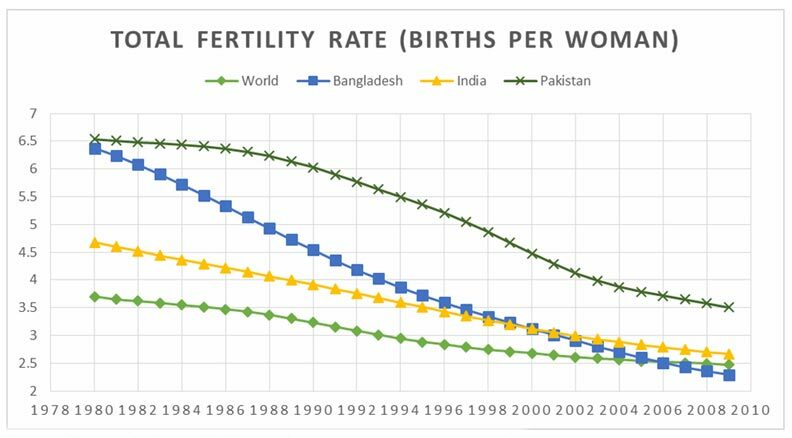 UNITED NATIONS Pakistani research REPORT and see Zia ul Haq’s period as very high each woman birth rate on PAGE 2 of 12 page pdf. Above report is written by ZEBA A. SATHAR of Population Council of Pakistan. She says CONTRACEPTION use rates have hardly risen between 1975 to 91. Very good graph popups with this website. It shows Japan and Russia etc with reducing populations. OUR PAKISTANI PRESS tells us Russia and Japan are going to disaster because of REDUCING POPULATION. Thats WRONG. Kids in reducing population countries have BEST SCHOOLS and more FOOD etc etc. GOOD LUCK living in high birth rate country from Saudia to Pakistan.